This lamp uses CREE high power white led as main light, 6pcs SMD leds as the auxiliary lights,and designed with high property 5.6Ah rechargeable Li-ion battery. 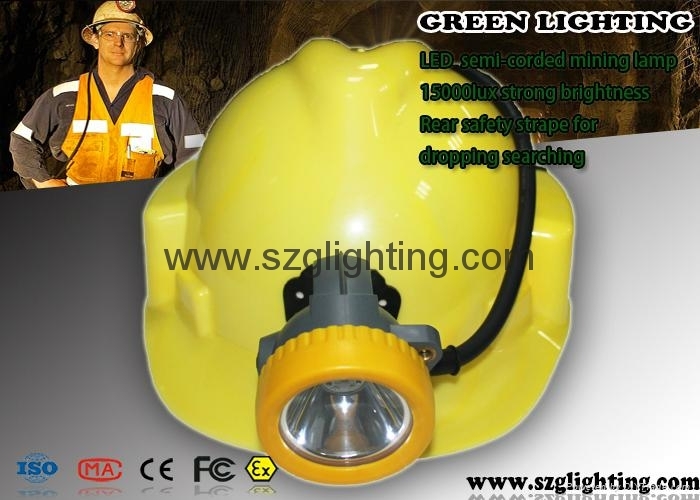 It uses 30cm cable to connect headlamp and battery housing!Length of the cable can customize.And designed Battery shell with reflective stickers ,which can make you safe!the brightness also can reach 10000lux. 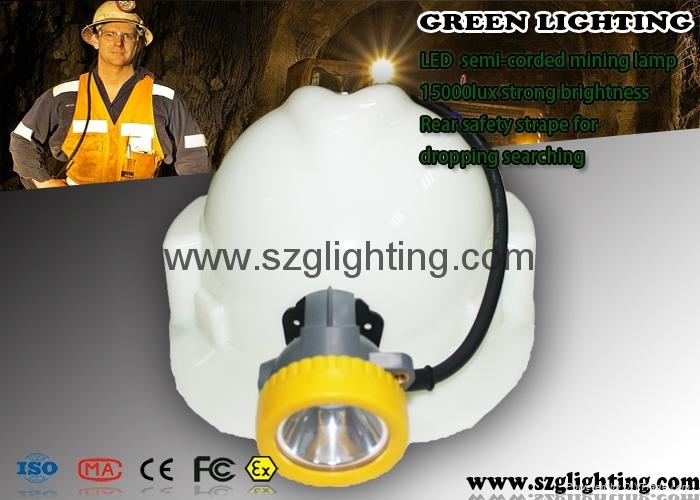 It is also long lighting time,long life time,high intensity,low usage cost,and high safety. 2.Safety Strap,charger and hat guard included. 3.Pedestrian visibility light on battery pack. 4.explosion-proof, water-proof,protection in electrical short circuit. 5.This lamp has three charging modes.USB charger (USB cable),cradle charger (battery part) or cradle charger (lamp head part). Any of them are avaliable. 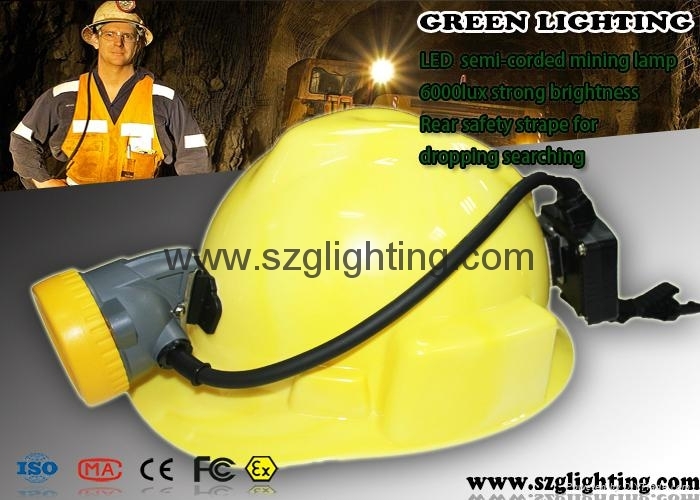 6.All our mining safety cap lamps has one year warranty. We will keep free maintenance for you in one year. 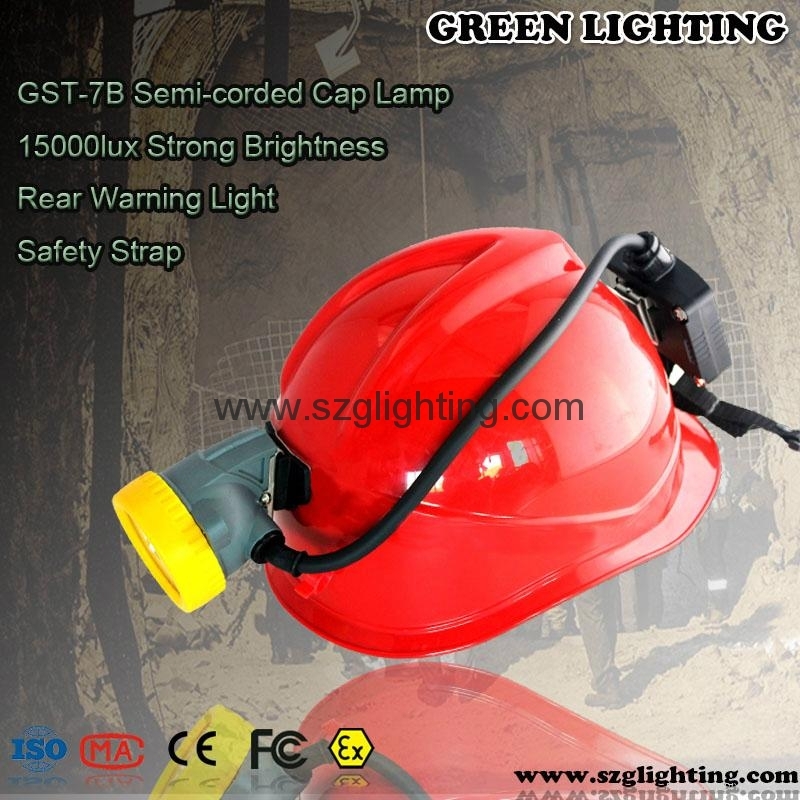 This caplamp can be used in Mine, underground working, Patrolling, Overhauling and Emergency in electrical power company,Military, Police, Fire Fighting, Dockyard and other hazardous locations ect. USB charger (USB cable),cradle charger (battery part) or cradle charger (lamp head part). 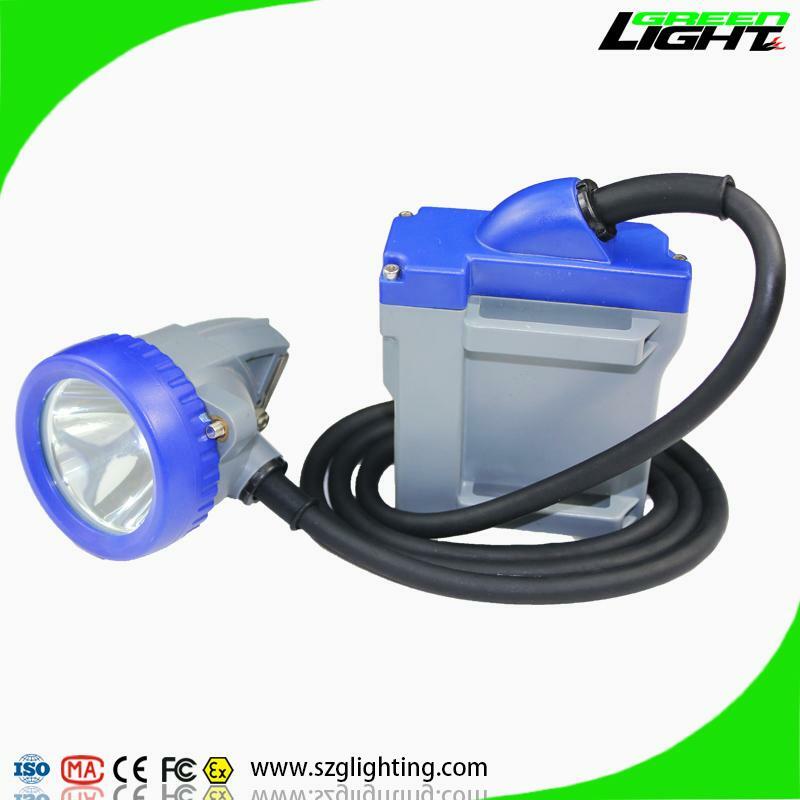 packing by colorful box of unit lamp with single charger, 20pcs/carton,10.96kg/carton.